Bounnhang Vorachith, general secretary of the Lao People's Revolutionary Party Central Committee and president of Laos, said on Friday that the China-Laos Railway, as the implementation of Belt and Road Initiative, will benefit the Lao people. President Bounnhang who inspected the railway construction site was briefed by Ju Guojiang, chairman of the Laos-China Railway Co. Ltd, on the progress of the railway project. He said builders of both countries have been closely cooperating, conquering various difficulties, and the goal of offering transport service till December 2021 will be achieved on time. 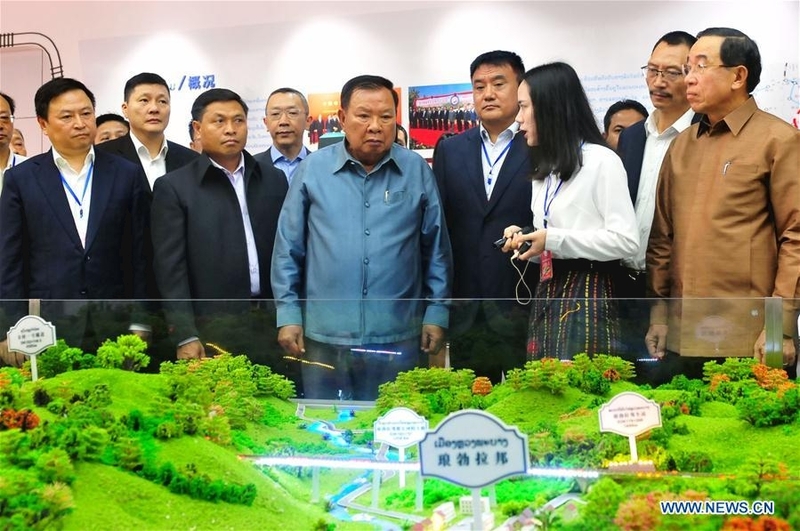 President Bounnhang and some high-ranking officials made an on-site inspection into the railway construction sites around capital Vientiane, and visited a beam fabrication yard of China Railway No. 2 Engineering Group (CREC-2). President Bounnhang said the Laos-China Railway construction has outstanding significance in promoting Laos' economic development, job creation, enhancing the people's livelihood, achieving Laos' strategic ambition of turning a land-locked country into a land-linked one, as well as in bringing the country to a new, and railway-driven development phase. The Lao president also highly appreciated the fact that after a dam-collapse flood flushing in southern Laos' Attapeau Province, the Laos-China Railway Co. Ltd proactively donated for the victims and participated in the rebuilding in the disaster-hit areas. The 414-km China-Laos Railway runs from Boten border gate in northern Laos to the capital Vientiane within an operating speed of 160 km per hour. The electrified railway was built since December 2016 with the full application of Chinese management standards and technical standards.